We are a very small show home. We have been involved in showing Shibas in AKC conformation since 2007. We finished our first Champion in July of 2009. 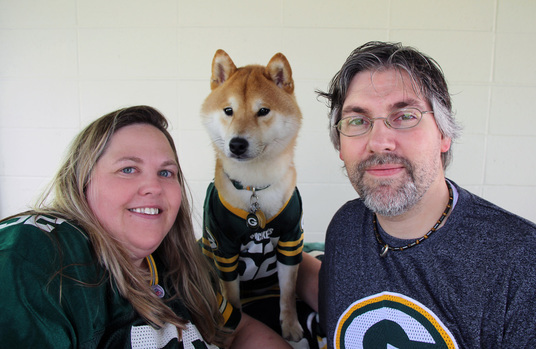 We are current members of the National Shiba Club of America and the Burlington, IA Kennel Club. All of our dogs are house dogs, and yes this leads to frequent vacuuming! We have set very high standards for ourselves. We breed to move our program forward toward the ideal Shiba that is outlined in the AKC and NIPPO standard. We firmly believe in preserving the breed as it is in its home country of Japan. While our dogs are not perfect, they each bring something to the table that we feel will assist us in reaching our goals. We DO NOT sell show/breeding puppies. We keep what we feel is the best to move our program forward and place the others into loving forever pet homes. Any dog used in our breeding program is health certified for eyes, patellas and hips. All puppies are sold on a pet contract with a guarantee of health. Spay/neuter is mandatory. At times we do have adults available into loving forever homes. A copy of our contract can be found here. Thank you for your interest and please feel free to contact us at fourrunner21@yahoo.com with any and all questions you may have! ​"CHAMPIONS are made of Desire, Determination and Hard Work"